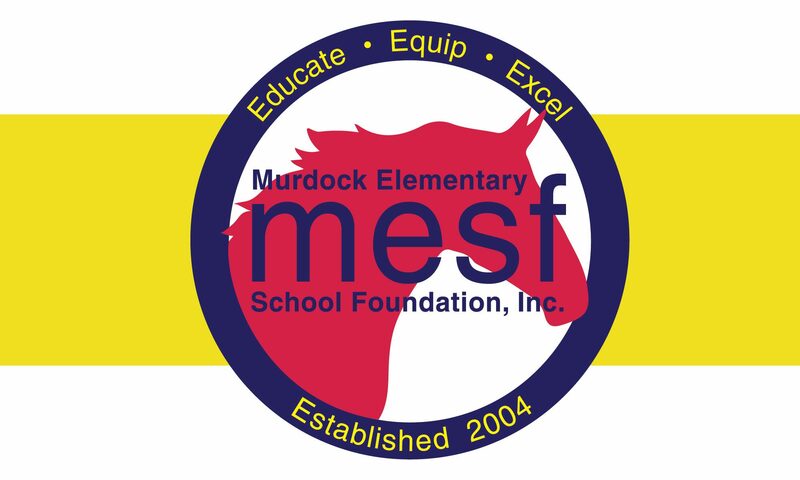 Financials – MESF: Murdock Elementary School Foundation Inc.
$44,000 funds 100% of our hands-on Science Lab, including competitive teacher salary, supplies & equipment. All classrooms grades K-5 participate. $15,000 funds the next phase of The Leader In Me, an innovative, school-wide model that enables educators to unleash each child’s full potential. Visit The Leader In Me website to learn more! $23,000 funds Technology & Software, including teacher selected software and apps for every grade level, which are used in the classroom and at home. $19,000 funds Staff Collaboration Time at every grade level. Murdock teachers find this planning time to be invaluable. $5,000 to enhance PE, Music and Art programming, including supplies & instruments used by all students. 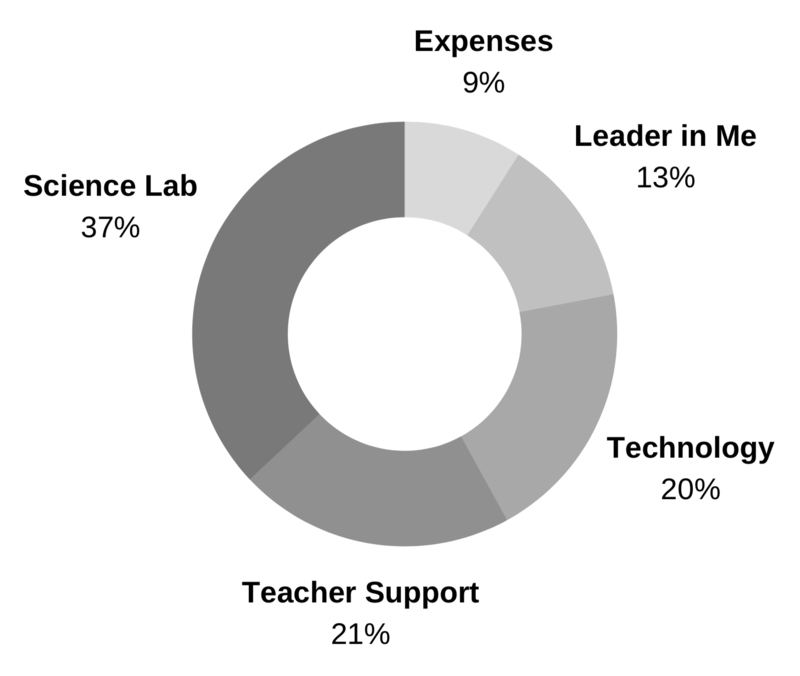 Administrative fees and expenses are kept around 8%, which means $.92 of every dollar positively impacts our initiatives for Murdock’s students and staff! The fundraising efforts in the school year 2017-2018 exceeded the goal of $112,000 by raising nearly $138,000 (gross fundraising amount). Nearly $68,000 in family and staff donations through the fall Patron Program, with 62% student participation. With donor employee matching, $80,000 was raised in all. Note: total is gross fundraising amount. Ticket sales through the spring Mustang Raffle raised nearly $50,000, with 59% student participation. Note: total is gross fundraising amount. Grade level art show sales and marquee birthday messages brought in nearly $8,000. Note: total is net fundraising amount. The following items were funded by the Foundation and impacted every student. Science Lab – competitive teacher salary, 100% of lab supplies and equipment. The Leader in Me (LIM) – phase 3 of the Franklin Covey contract, staff training, 100% of LIM supplies, and more. Technology – teacher selected software and apps for every grade level. Staff Collaboration Time – three days for every teacher at every grade level. Lassiter Performances and Art Shows – costs associated with utilizing the Lassiter Concert Hall. Campus Improvements, Musical Instruments and MUCH more! For additional information, contact the MESF Treasurer.